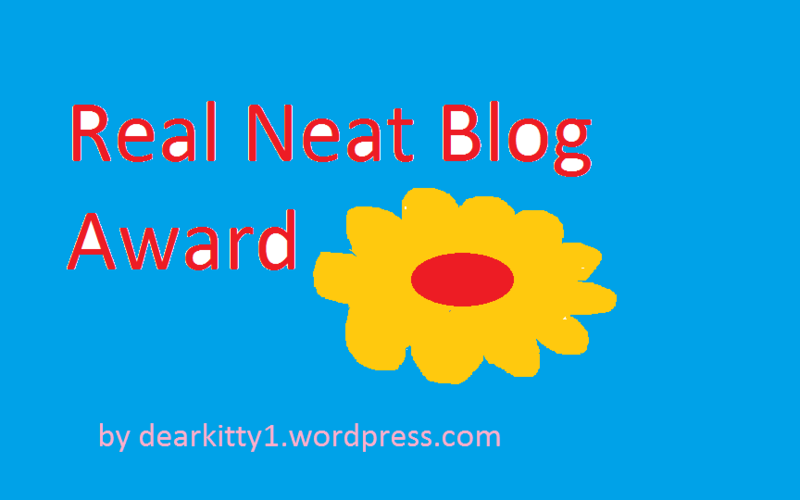 I am beyond thrilled, ecstatic and honored to be nominated by Kitty the creator of the Real Neat Blog Award! Thank you Kitty so very much. Kitty’s blog covers so many topics such as animals, peace and war, science, social justice, women’s issues, arts, and much more. If you are interested in an array of topics and discussion – I suggest you check out Dear Kitty, Some Blog !! 1. Where do most visits to your blog come from? I think most of them come from other bloggers I follow and me commenting on various posts. 2. What is your favourite sport? Women’s college basketball (I also played basket ball in school) and the rodeo (yep, raised on farm with horses). 3. What has been a special moment for you so far in 2017? Everything – I cherish and treasure each moment I’m with my family, doing something I love, sitting on the front porch drinking coffee with my husband, celebrating birthdays with my grand kids…. Narrator: And so we come to the last chapter, in which Pooh and Christopher Robin go to the enchanted part of the forest, and we say goodbye. Winnie the Pooh: Goodbye? Oh no, please. Can’t we just go back to page one and start all over again? Narrator: Sorry, Pooh, but all stories have an ending, you know. Winnie the Pooh: Oh, bother. Again, thank you Kitty! I hope everyone has a wonderful day! Winnie and Piglet have the best interactions ❤ Again, congrats on another deserving award!